Jake Lee threw five innings Friday night in Cedar Rapids, giving up two long balls in the second, but exiting the game after five with a 3-2 lead, no walks and 10 strikeouts. The Bees could not hold it. Burlington pitching struggled in the cold and wind. Luis Alvarado relieved Lee to start the sixth. He struck out the first batter he faced on a swinging strike three, but the ball got away from Alex Olmeda, and the Kernels hitter scampered all the way to second. A walk, a wild pitch, a strikeout, two more walks, another "K" and Cedar Rapids had the lead. Luke Lind came on, but had issues, walking in three more runs before inducing a ground out to end the inning. Just like that the Kernels were up 6-3. They tacked on two more in the eighth, one earned, to make it 8-3. Five of those eight runs were unearned. 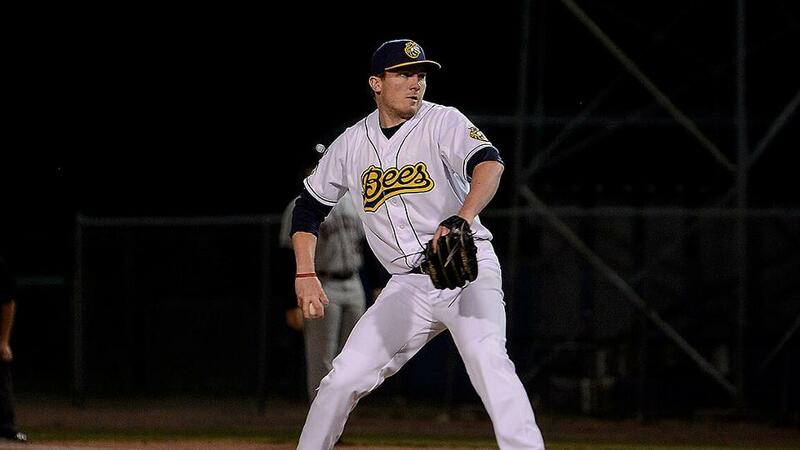 Bees infielder Michael Stefanic continued hitting at a torrid pace with three singles in three at-bats, and a walk. D.C. Arendas was on base in three of four plate appearances. He had a double and two free passes.